Stop AIDS Genocide By the Drug Cartel! Vitamin C is the key nutrient for the stability of blood vessels, the heart and all other organs in our bodies. Without vitamin C, our bodies would literally collapse and dissolve, as in scurvy. 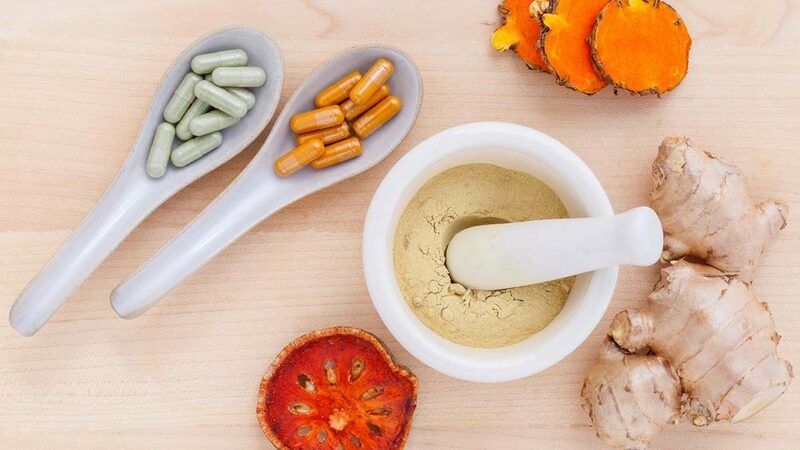 Vitamin C is responsible for the optimum production and function of collagen, elastin and other connective tissue molecules that give stability to our blood vessels and our entire bodies. Vitamin C is important for fast wound healing throughout our bodies, including the healing of millions of tiny wounds and lesions inside our blood vessel walls. It is the most important antioxidant in the body. Optimum amounts of vitamin C effectively protect the cardiovascular system and body against biological rusting. Vitamin C is also a cofactor for a series of biological catalysts (enzymes), which are important for the improved metabolism of cholesterol, triglycerides and other risk factors. This helps to decrease the risk for cardiovascular disease. It is an important energy molecule needed to recharge energy carriers inside the cells. Niacin is an important nutrient, essential as the cofactor of nicotinamide adenine dinucleotide (NAD) and related energy carrier molecules. This energy carrier molecule is one of the most important energy transport systems in the entire body. Millions of these carriers are created and recharged (by vitamin C) inside the cellular energy centres of the cardiovascular system and the body. Cell life, and life in general, would not be possible without this energy carrier. Pantothenate is the cofactor of coenzyme A, the central fuel molecule in the metabolism of our heart cells, blood vessel cells and all other cells. The metabolism of carbohydrates, proteins and fats inside each cell all lead to a single molecule, acetyl-coenzyme A. This molecule is the key molecule that helps to convert all food into cell energy. This important molecule is actually composed, in part, of vitamin B5 and the importance of supplementing this vitamin is evident. Again, cell life would not be possible without this vitamin. Thiamine functions as the cofactor of an important biocatalyst called pyrophosphate. This catalyst is involved in phosphate metabolism in our cells, another key energy source that optimizes millions of reactions in cardiovascular and other cells. Riboflavin is the cofactor for flavin adenine dinucleotide (FAD), one of the most important carrier molecules of cellular energy inside the tiny energy centers (power plants) of all cells. Vitamin B6 is the cofactor of pyridoxal phosphate, an important cofactor for the metabolism of amino acids and proteins in cardiovascular and other cells. Vitamin B6 is needed for the production of red blood cells, which are the carriers of oxygen to the cells of the cardiovascular system and all other cells in the body. Vitamin B6 is also essential for the optimum structure and function of collagen fibres. Vitamin B12 is needed for the proper metabolism of fatty acids and certain amino acids in the cells of our bodies. Vitamin B12 is also required for the production of red blood cells. A severe deficiency of vitamin B12 can cause a disease called pernicious anaemia, which is characterized by an insufficient production of blood cells. Folic Acid is a very important nutrient for the production of red blood cells and oxygen supply. The last three vitamins are good examples of how these bio-energy molecules work together in synergy, like an orchestra. Without proper oxygen transport to all the cells, their function would be impaired, no matter how much of the other vitamins you might take. It is, therefore, important to supplement your diet as completely as possible with the right essential nutrients in the right amounts. Biotin is needed for the metabolism of carbohydrates, fats and proteins. Beta-carotene is also called pro-vitamin A, and is another important fat-soluble antioxidant vitamin. Like vitamin E, it is transported primarily in lipoprotein particles in the bloodstream to millions of body cells. Also like vitamin E, beta-carotene prevents these fat particles from rusting and damaging the cardiovascular system. Beta-carotene is documented in a rapidly growing number of clinical studies as another protective agent against cardiovascular disease. Similarly to vitamin E, beta-carotene has been shown to decrease the risk of blood clotting. Vitamin D is essential for optimum calcium and phosphate metabolism in the body. Vitamin D is needed for the growth and stability of the bones and teeth. For centuries, vitamin D deficiency was a frequent children’s condition, causing retarded growth and malformation. Thus, in many countries, milk is enriched with vitamin D. Vitamin D is also essential for optimum calcium metabolism in the artery walls, including the removal of calcium from atherosclerotic deposits. Vitamin E is the most important fat-soluble antioxidant vitamin. It protects, particularly, the membranes of the cells in our cardiovascular systems. Vitamin E also prevents free radical attacks and oxidative damage. Vitamin E is carried in low-density lipoproteins (LDL) and other cholesterol and fat-transporting particles. Taken in optimum amounts, vitamin E can prevent these fat particles from oxidizing (biological rusting) and damaging the inside of blood vessel walls. Vitamin E has been shown to render the platelets in blood circulation less sticky and, thereby, keep the blood thin and decrease the risk of blood clotting. Magnesium is nature’s calcium antagonist, and its benefit for the cardiovascular system is similar to the calcium antagonist drugs that are prescribed, except that magnesium is produced by nature itself. Clinical studies have shown that magnesium is particularly important for helping to normalize elevated blood pressure; moreover, it can help normalize irregular heartbeat. Calcium is important for the proper contraction of muscle cells, including millions of heart muscle cells. It is needed for the conduction of nerve impulses and, therefore, for optimum heartbeat. Calcium is also essential for the hardening and stability of our bones and teeth. It is also needed for the proper biological communication among the cells of the cardiovascular system and most other cells, as well as for many other biological functions. Potassium is the most important positively charged electrical particle in our body cells. It is important for the generation of energy in the cell metabolism and is needed for the synthesis of acetyl-coenzyme-A. Potassium is also necessary for the normal contraction of muscles, including the heart muscle. It plays a part in the electrical processes that are needed for the regulation of nerve impulses and activation of the muscles. Phosphorus is present in every cell of our bodies, with most of it being found in the bones and teeth. Phosphorus plays an important role in the body’s use of carbohydrates and fats, and is needed to make protein for the growth, maintenance, and repair of cells and tissues. It also helps the body make adenosine triphosphate (ATP), a molecule used to store energy. Phosphorus works with the B vitamins and also helps with kidney function, muscle contractions, normal heartbeat and nerve signalling. Zinc is used by numerous enzyme systems as an auxiliary factor (co-enzyme). A zinc deficiency can lead to growth disorders, skin diseases and an increased susceptibility to infections. Manganese is an important secondary factor for bio-catalysts. For example, it activates enzymes that play a part in DNA metabolism, the molecules that contain hereditary information. A long-term, serious shortage of manganese will result in growth inhibitions, infertility and other serious disorders. Copper is needed for the formation of a web structure of collagen in the blood vessel walls, which provides extra strength. It also stimulates the absorption of iron and the production of haemoglobin, the red colored substance that is important for the red blood corpuscles. Copper is also part of an enzyme that is needed for the production of the dark pigment melanin. Selenium is an important antioxidant that protects the body against damage by free radicals and assists its defence systems. Clinical studies have established that selenium plays an important role in the fight against cancer and cardiovascular diseases. Chromium plays an important role in carbohydrate metabolism, especially in connection with glucose and insulin. In most industrialized countries chromium deficiency is a secondary contributor to the growing incidence of diabetes. Taurine is mainly located in the heart muscle cells, the white blood corpuscles and the nerve cells of the body. Numerous studies have indicated that patients suffering from heart failure are especially likely to have a deficiency of taurine. As opposed to proline, lysine is an essential amino acid, which means that the body cannot synthesize it. Daily supplementation of this amino acid is, therefore, critical. Lysine, like proline, is an important building block of collagen and other stability molecules, and its intake helps to stabilize the blood vessels and other organs in the body. The combined intake of lysine and proline with vitamin C is of particular importance for the optimum stability of body tissue. For optimum strength of the collagen molecules, its building blocks lysine and proline need to be bio-chemically modified to hydroxyl lysine and hydroxy proline. Vitamin C is the most effective biocatalyst for accomplishing this “hydroxylation” reaction and, thereby, for providing optimum strength to the connective tissue. Lysine is another “Teflon” agent, which can help release deposited fat globules from the blood vessel deposits. Lysine is also the precursor for the amino acid carnitine. The conversion of lysine into carnitine requires the presence of vitamin C as a biocatalyst. This is another reason why the combination of lysine and vitamin C is essential. The amino acid proline is a major building block of the stability proteins collagen and elastin. More than 10% of the building blocks of collagen molecules consist of proline alone. It is easy to understand how important it is for the optimum stability of our blood vessels, and our bodies in general, to get an optimum amount of proline in our diets. Proline is very important in the process of reversing atherosclerotic deposits. Cholesterol-carrying fat globules (lipoproteins) attach to the inside of the blood vessel wall via biological adhesive tapes. Proline is a formidable “Teflon” agent, which can neutralize the stickiness of these fat globules. The therapeutic effect is twofold. First, proline helps to prevent the further buildup of atherosclerotic deposits and second, proline helps to release already deposited fat globules from the blood vessel wall into the bloodstream. When many fat globules are released from the plaques in the artery walls, the deposit size decreases and leads to a reversal of cardiovascular disease. Proline can be synthesized by the body, but the amounts synthesized are frequently inadequate, particularly in patients with an increased risk for cardiovascular disease. Arginine has many functions in the human body. In connection with the cardiovascular system, one function is of particular importance. The amino acid arginine can split off a small molecule called nitric oxide. This tiny part of the former arginine molecule has a powerful role in maintaining cardiovascular health. Nitric oxide relaxes the blood vessel walls and helps to normalize high blood pressure. In addition, nitric oxide helps to decrease the stickiness of platelets and has an anti-clogging effect. Carnitine is a very important essential nutrient. It is needed for the conversion of fat into energy. Carnitine functions like a shuttle between the cell factory and the energy compartment within each cell. It transports energy molecules in and out of these cellular power plants. This mechanism is particularly important for all muscle cells, including those of the heart. For the constantly pumping heart muscle, carnitine is one of the most critical “cell fuels.” Thus, it is not surprising that many clinical studies have documented the great value of carnitine supplementation in improving the pumping function and performance of the heart. Carnitine also benefits the electrical cells of the heart, and its supplementation has been shown to help normalize different forms of irregular heartbeat. Cysteine is another important amino acid with many important functions in the body. The cardiovascular system benefits particularly from supplementation with this amino acid because cysteine is a building block of glutathione, one of the most important antioxidants produced in the body. Among other functions, glutathione protects the inside of blood vessel walls from free radical and other kinds of damage. Epigallocatechin gallate (EGCG), an extract from green tea, has been shown to be an important factor in our natural defences against cancer. It can inhibit both the growth and proliferation of cancer cells by inducing apoptosis and inhibiting collagen-digesting enzymes. In addition, it is an effective antioxidant that can intercept free radicals and counteract cellular damage. It also benefits the liver by supporting its detoxification processes. Bioflavonoids improve the body’s immune system, protect it from free radicals and inhibit inflammation. They also produce synergetic effects with vitamins C and E.
Inositol is a component of lecithin. It is essential for sugar and fat metabolism in the cells of our bodies. Inositol is also important for the biological communication process between the cells and organs in the body. Hormones, such as insulin and other molecules, are signals from outside the cell. If a hormone docks to a cell, it needs to transmit information to that cell. Inositol is part of the proper reading mechanism of this information through the cell membrane. Thus, inositol is part of the proper biological communication process, which, in turn, is critical for optimum cardiovascular health. Coenzyme Q-10, also known as ubiquinone, functions as an extremely important catalyst for the energy center of each cell. Because of their high workload, the heart muscle cells have a particularly high demand for this micronutrient. In patients with insufficient pumping function of the heart, coenzyme Q-10 is frequently deficient. An irrefutable number of clinical studies have documented the great value of coenzyme Q-10 in treating heart failure and optimizing heart performance. 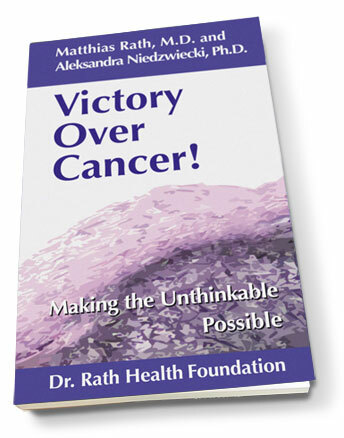 To learn about micronutrient approaches that have been shown to block all key mechanisms that make cancer a deadly disease, read the book 'Victory Over Cancer'. The synergistic combination of micronutrients shown above has been shown to reverse the course of AIDS, even in its advanced stage, in patients who had not previously taken any ARV drugs. You can read details of this important finding here. 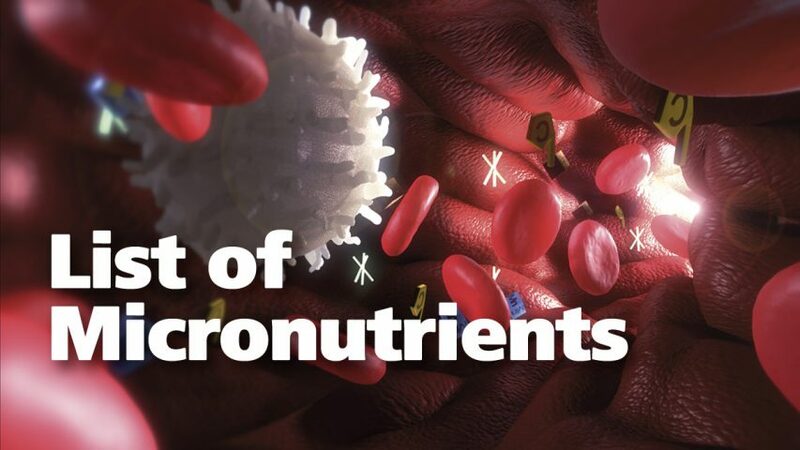 There is now widespread scientific evidence demonstrating the clinical benefits of micronutrient supplements in HIV/AIDS. Moreover, even Dr. Luc Montagnier – recipient of the 2008 Nobel Prize in Medicine for the discovery of the Human Immunodeficiency Virus (HIV) – has now spoken out for nutrition and micronutrients in the fight against HIV/AIDS. Nevertheless, despite all this, the promoters of ARV drugs continue to hide the truth. Our Foundation is a non-profit organization and we would be pleased to offer, for free, to any government in the world, further details in order to help save lives immediately. Please contact us here.